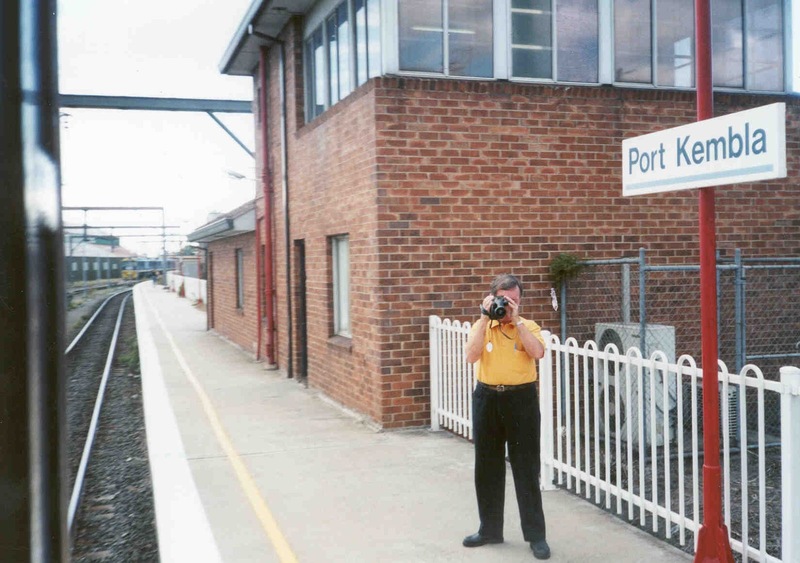 Earlier this week the sad news arrived that Phil Clarke, long time rail fan from the Illawarra, had passed away. I wrote a short piece on Ausloco - Phil's favourite online medium - but its also appropriate to acknowledge his great friendship on this blog. It also gives me a chance to run a few photos and (hopefully) his videos. Phil (aka PVC) was a habitual rail photographer. He had his favourite spots and trains, Cowan, Rhodes, Canterbury, Dulwich Hill, Picton and Werai curve. So regular were his visits to some of these locations he would be invited to share a cuppa with the station staff while videoing the passing trains. 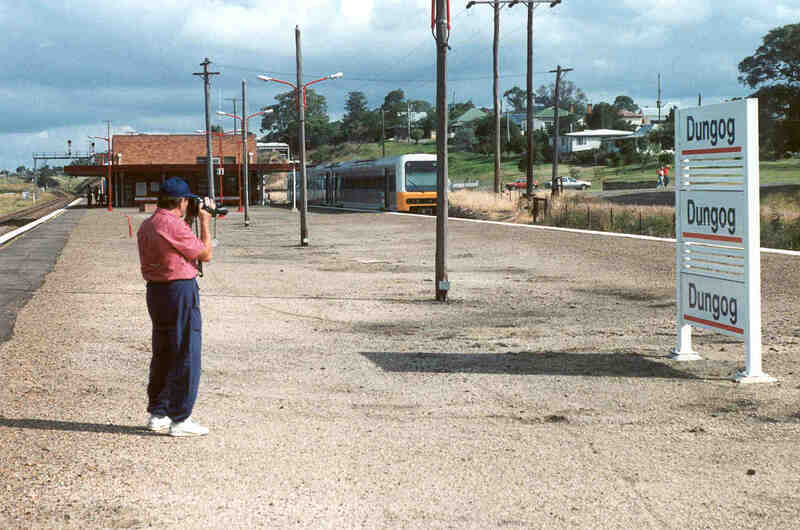 He has left a rich tapestry of the changing nature of NSW railways over the past two decades. Here is the quintessential, steady-from-the-shoulder, Phil the Video-er shot, from 1998. I have realised I have more photos of Phil's back than his front, and for once I have a shot of him not videoing. 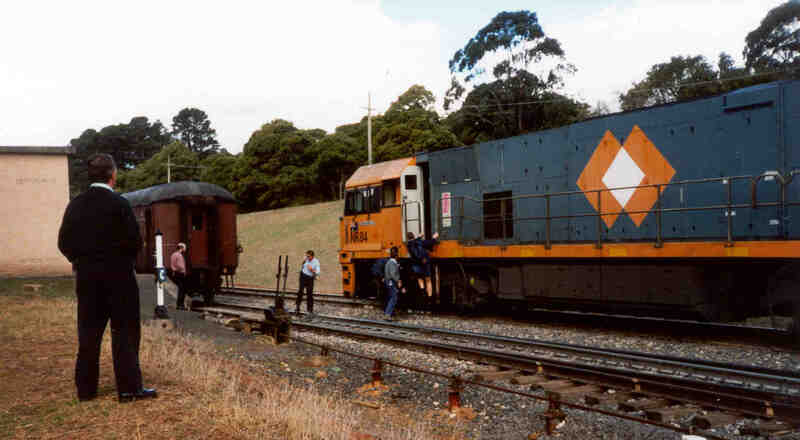 Phil was not just a rail fan - legend has it he served the warmest muffins on the Cockatoo Run when it operated out of Port Kembla. He was also a long time member of the RTM’s Illawarra Group and the Illawarra Model Railway Association. 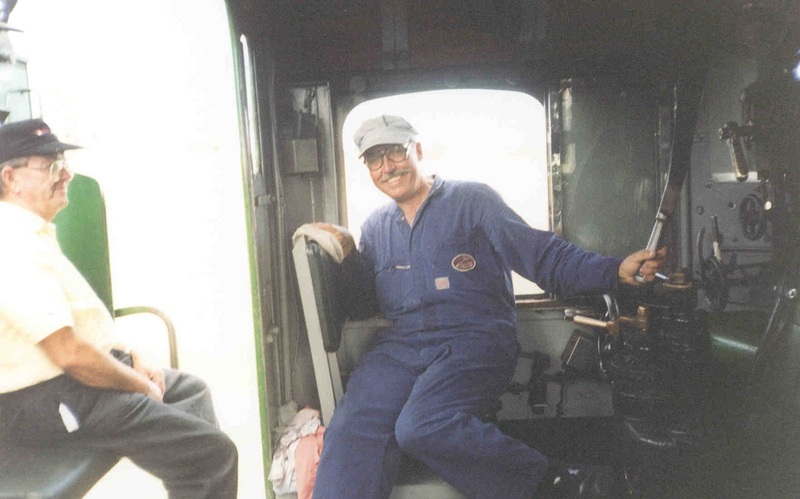 During a period where he sported a dashing mo, Phil (left of picture) rests in the cab of 3801 after another arduous muffin run. Phil’s railway modelling reflected his taste for the contemporary. No sooner had a piece of new rolling stock entered service than Phil would use his considerable skills and his former employer’s considerable resources to create a HO model. If delays occurred to a loco’s release in real life, Phil would sometimes beat the prototype into existence (such as the Silverton Cs). One of those Cs is lurking in the background of this shot of his now demolished layout. Outside of railways, Phil was an accomplished football (he called it soccer) referee and administrator. He was an active volunteer, driving elderly people to medical appointments and participating in his local church. He was devoted to his wife Joyce, his extended family and his wide circle of friends. Phil loved a yarn, especially when trackside. 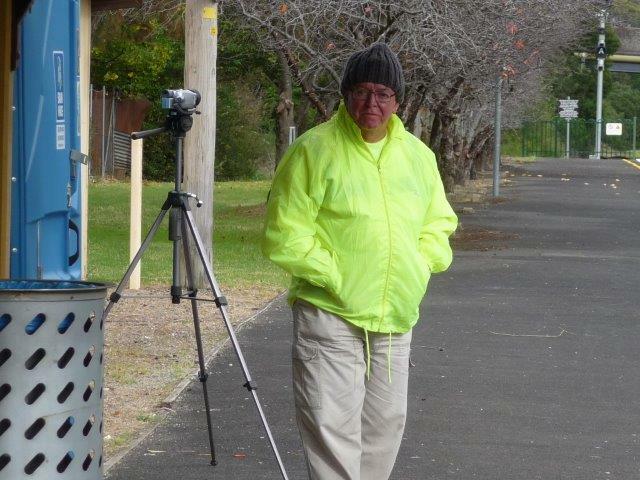 He was an avid video recorder, who has left a rich legacy of rail videos. These were spread far and wide as he was generous in sending his videos freely to anyone who asked. His videos grew to be really professional affairs, with annotations and printed discs. So, time for a couple of Phil's video efforts. This first one of 4468 and GM27 on a trippy at Canterbury c2003-04 comes from one of the first DVDs he made. I picked this one because Canterbury was pretty much home base for him for many years. He would be there by 8:00am and not leave until 4168 had rolled through, usually just before 2:30pm. And now for one of his last efforts - from late November 2018. This one is from Dulwich Hill, where the station staff were magnanimous and friendly, and Phil could avoid using the steps to get across platforms. I picked this snap of a track inspection vehicle because Phil loved the new stuff as much as the old, and he had a keen appreciation for the technical side of railways (which he would patiently explain to this knucklehead). If you are lucky enough to have a PVC rail video or one of Phil’s trains (he divested his collection a few years ago), please give them a run in memory of Phil. If you have a Toohey’s Old handy, Phil would reckon you have the making of a good night.